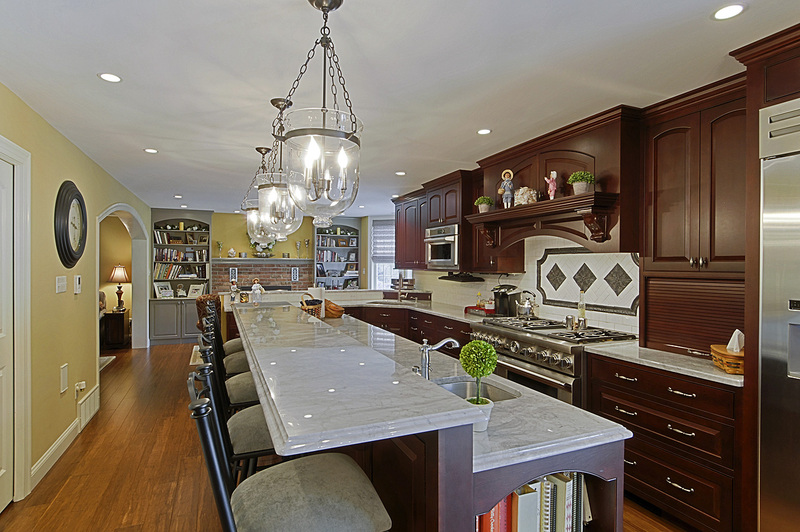 These days, kitchen islands are as common as the kitchen sink. In addition to being a focal point, they also increase functionality and efficiency. They offer extra storage, seating, and more work space. What type of island is best suited for you and your kitchen? Pros: L-shaped islands tend to be large with lots of storage. The amount of counter space prevents an overcrowded work space, which allows for more than one cook in the kitchen. You won’t have an issue finding room for bar-style seating. Cons: L-shaped islands can chop up your kitchen design, which can hamper efficiency during meal prep. The shape doesn’t always maximize storage space since corners tend to decrease accessibility. Pros: U-shaped islands are highly functional. They provide extra storage space, more workspace, enough room for seating, and they can house more than one appliance if they’re big enough. You may not have to leave your island when you’re prepping food. Cons: They can be bulky and can close off your kitchen from the rest of your home. The double corners will limit accessible storage space unless they incorporate a Lazy Susan or swing-out door. 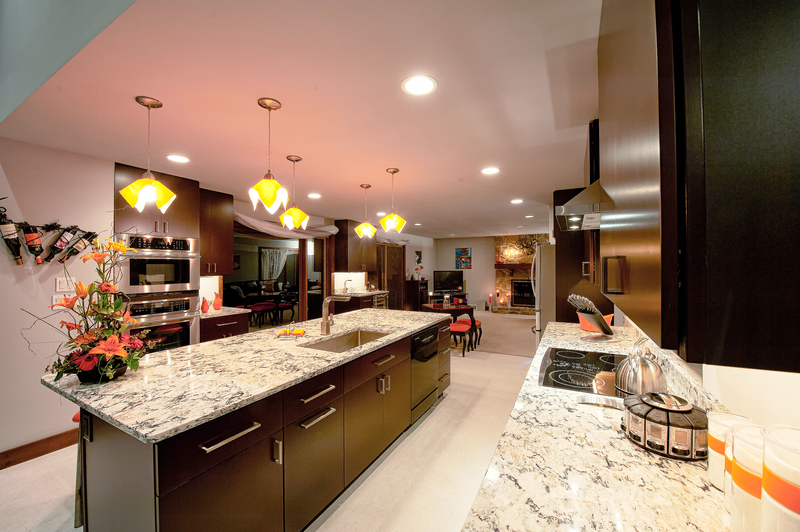 Pros: Galley islands provide a space with flow and efficiency with their sleek design. They maximize storage space because there aren’t any corners or curves. Appliances and stored items are always accessible. The design also supports guest seating. Cons: Sometimes they’re too small to comfortably fit an appliance, which can create problems with your layout. Pros: Curved islands add an interesting aesthetic to kitchens. There’s more than enough room for meal prep, and they can incorporate expansive seating areas that leave enough room for guests to comfortably eat and socialize. Cons: Your counter is spread out and curved, which can limit the way you cook. Storage space can be wasted unless your cabinets are customized to include creative options. Pros: Rolling islands are versatile, and a blessing for smaller kitchens that lack prep space. They can function as a worktop or a spare surface for your ingredients. Cons: They can be a hassle to roll out during meals or to store, and bigger designs may be hard to move. They offer little to no storage. Pros: It can be custom-built, an antique or store-bought — a furniture piece adds character to your kitchen with its detail and decorative design. They usually aren’t bulky and fit nicely in your kitchen. Cons: Furniture pieces weren’t built with kitchen storage in mind, so you may not fit all of your cookware comfortably. There’s also the issue of durability with daily use in a kitchen. Fill out the form on the right of the page to schedule your FREE consultation.